Automating an email outreach campaign is a difficult enough undertaking for the experienced marketer. For those who are new to the process of email automation or have tried and failed in the past, it probably feels like a total shot in the dark. How do you know if you’re segmenting your lists correctly? How do you make your emails sound personal when you’re sending thousands at a time? When your outreach campaigns end unsuccessfully, it might leave you doubting your marketing abilities. But fear not. There is a process you can follow that will get you consistent results. 93% of cold emails he received were “terrible” and otherwise ineffective. 88% were clearly copied and pasted and had no original content. 77% had major formatting issues and other grammatical errors. 76% were impersonal and displayed little or no knowledge of his business. If you’ve ever received a cold email, you can probably identify with at least one of the above problems. The key to creating a successful campaign — one that generates leads and builds new relationships — is crafting the right message for the right audience. That can be difficult if you’re new to the process or your current campaigns are mostly hit-or-miss. The good news is that there is a strategy to take the guesswork out of the process while avoiding the biggest (“terrible”) outreach blunders mentioned by Sanwal. Here’s the process for creating a successful cold email outreach campaign. Cold emails can easily become impersonal if they don’t reflect the information or interests of the person receiving them. Rather than writing your cold email first, it’s actually best to start with a segmented email list. That way, you can tailor your messages to avoid impersonalization. If you already have a database of emails, you want to verify that email addresses are still current so that your emails don’t bounce (you don’t want your deliverability to be affected). Most email marketing platforms have some type of email verification feature. Or, you can use our verification tool to quickly remove dud emails. Once you’re sure you have working emails, you can start segmenting. 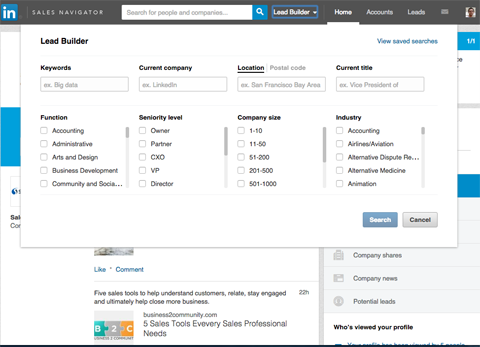 If you’re building and segmenting your lists from scratch, try to find relevant companies or mutual contacts using tools like LinkedIn Sales Navigator or Team Network. This will give you greater insight into their personas so you can create the most personalized and targeted message later on. The more lists you have, the better. Once you have your lists, you want to create an outreach spreadsheet with all relevant information about your biggest influencers. You may not want to send cold outreach emails to everyone on your list. In some cases, it’s best to start with your warmest leads – those who have the most potentials to actually become customers. 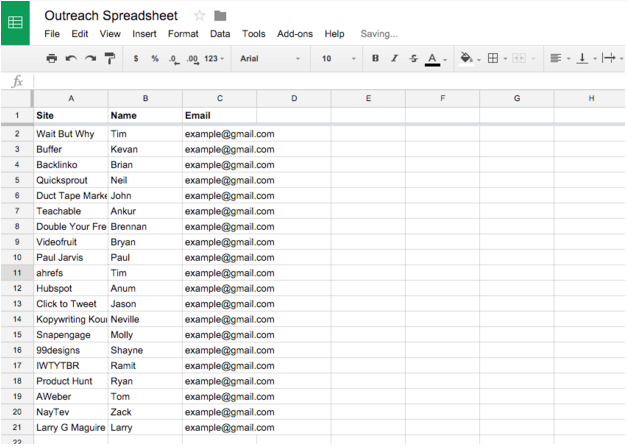 Here’s an example of a basic outreach spreadsheet on Google Sheets. While you want to include things like names, business websites, and business email addresses, you should also include any other information you find like job titles, industries, and so on. Don’t be afraid to dig a little deeper during this process. If needed, consider targeting your first campaign to 50-100 people and spend some time adding more details to this spreadsheet. This might include things like years spent at the company (based on a LinkedIn search) or other business-specific details from their website. The more information you have on your spreadsheet, the easier it will be to craft a personalized message. One copied and pasted cold email message isn’t good enough. Crafting the right message is actually a two-step process. You want to start with a base email template that contains all the relevant information you want to share. Then you can personalize your emails to match the information on your segmented spreadsheet (see step 4). Keep it short. Start with an email less than 190 words in length. Start with a brief introduction about you and your business. Be as personal as possible. Keep your pitch straight to the point and no more than two paragraphs. Reduce key information down to short bullet points if your pitch is complicated. He also recommends avoiding buzzwords and focusing on how you can help the customer rather than bragging about how amazing you are. You want your email template to be as authentic as possible while still providing enough sales language to persuade someone to respond. To do this, you need strong proof that your product/service really works. If you don’t do it, the only people who answer will be those who already know you, have heard about your product or are in great need of using your solution. And you want more customers, right? 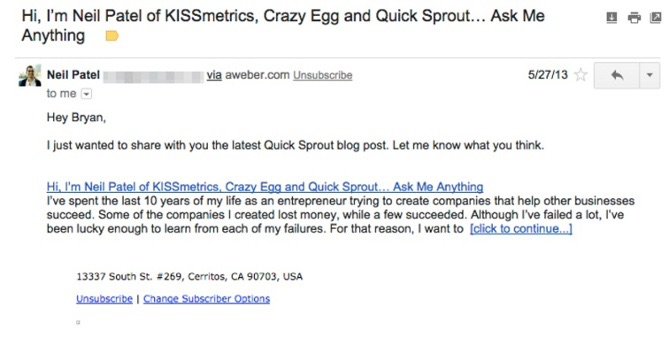 If you’re stuck on this step, you can find several science-backed cold email formulas here. Also, make sure to proofread your template to avoid the most common grammar and punctuation mistakes. While a tiny typo or comma absence is not that catastrophic for personal emails, the overall outreach campaign in poor English will hardly do a power of good for your brand reputation. Once you have a basic template in place, you can further personalize your emails based on the information in your outreach spreadsheet. You might even mention something personal about a previous interaction. Or, if you’re emailing strictly cold leads (the coldest of the cold), you might add more information about you and your business and choose a more formal greeting. Shaurya Jain recommends using a different font as a pattern interrupt to gain prospects attention. While most people use the default fonts of Arial or calibri that most platforms have, you can use a different font and stand out in a sea of look alike cold emails. Research conducted by MailChimp, for example, found that adding a first and last name to the subject line doubled open rates in one experiment. For cold emails, you could add names to the subject lines for an extra layer of personalization. You could also send out more emails to certain leads than you send to others. 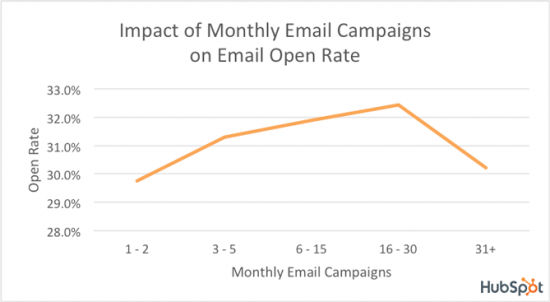 HubSpot found that businesses that sent 16-30 emails a month doubled their open rate, but only in certain cases. The goal of personalization is to tailor the experience to the specific lead as much as possible. If that means sending more emails (or less) to certain leads, then go with that strategy for those leads. Yes, this part of the process does take more time because of the research involved. But take that time! Do your research and find ways of really speaking to your leads. Even if you send out a generic version of your research to a larger list of 100 people (“Hey, I loved your blog and thought I’d reach out”), it’s better than not knowing anything about them. The extra time spent on personalization will be completely worth it. So how do you add automation when you’re sending personalized emails to dozens or more segmented lists? It’s not easy. But yes, it can be done. You just have to automate your campaigns in smaller batches. 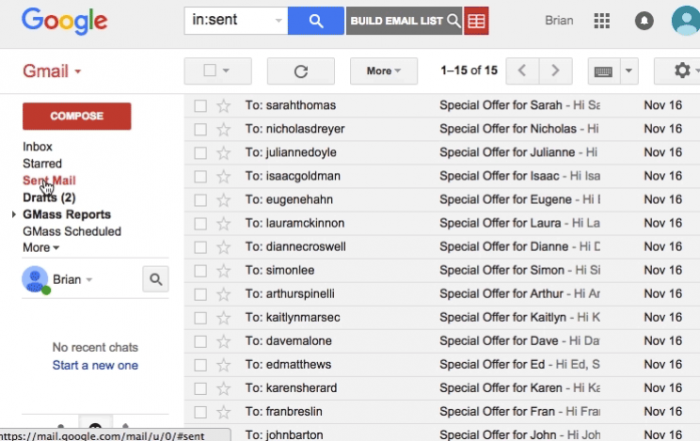 GMass is a great tool for sending out automated emails directly from Gmail in smaller batches. You can import your outreach spreadsheet directly into GMass, segment your lists, and then message maybe 20-50 people at a time. For example, you could send a message to all of your leads in a certain area and comment on the local weather. Or you could follow up with a segmented list of guest bloggers about how much you enjoyed their most recent post. You’ll still be able to send emails more efficiently than if you were writing them one at a time, but you won’t write emails that are obviously generic. Small batch automation gives you more options for personalization. When you send the same email to a broad group of recipients, on the other hand, your message needs to be equally broad in order to maintain relevance for everyone on your mailing list. Remember what Sanwal said: he rejected 76% of his cold emails because they were too broad. 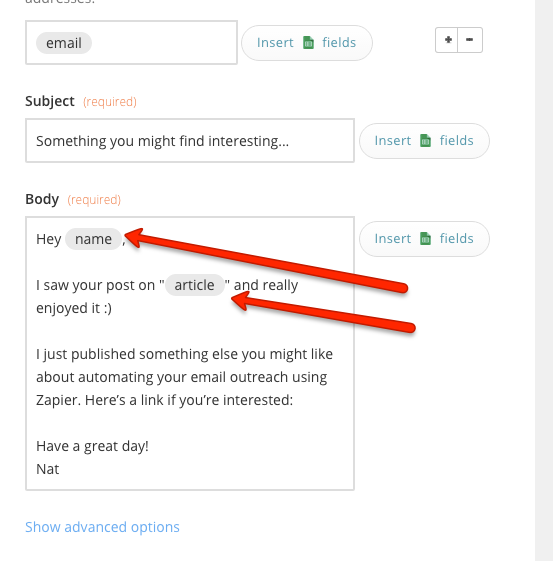 When you send outreach emails in small batches, automate personal replies to those emails. Even if you decide to send a less-personalized template to a broader email list, having personalized responses can improve lead generation. Just want to make sure you saw this. Are there any questions that I can answer for you? Even though that’s more generic than the original email, you can still personalize it and automate it to simplify the overall outreach process. Steli Efti recommends giving warmer leads warmer response templates (similar to your original email pitch) while giving cold leads more opportunities to respond. You should also choose a follow-up sequence that “pesters” them enough to respond without annoying them or sending them away. This sequence might change depending on how cold the prospect is, of course. Sending a cold email after two weeks to someone who hasn’t shown any interest will probably turn them away. You should also consider automating a series of regular follow-up emails (“touches”) with your current leads or customers. Marketer Neil Patel, for example, sends out new automated email updates to both warm and cold leads whenever he publishes a new article. You can use this strategy to both generate leads and to keep leads warm once your initial campaign has ended. It’s also a great opportunity for automation that doesn’t require excessive personalization.There are many tools that can help you automate the entire email process, including tracking and follow up features. Be sure to research all email marketing software to find the platform be suited to fit your marketing needs. When doing an email outreach campaign, most of your recipients don’t know you from Adam; they’re probably hearing about you for the first time. You want to have them see you as an expert in your field. A great way to do that is to flaunt your achievements in your email signature. This way, you’re establishing your presence in their minds and giving them strong reasons why they should listen to you. The email outreach automation process doesn’t have to be complicated. First, you want to start by creating highly segmented email lists that reflect the various demographics and buyer personas of your leads. This might mean creating dozens of different lists, and that’s okay. The more segmentation you have, the better your results will be. Next, put those segmented emails in a spreadsheet and do some research. Get as much information as you can. You’ll need it for the next step, which is personalization. 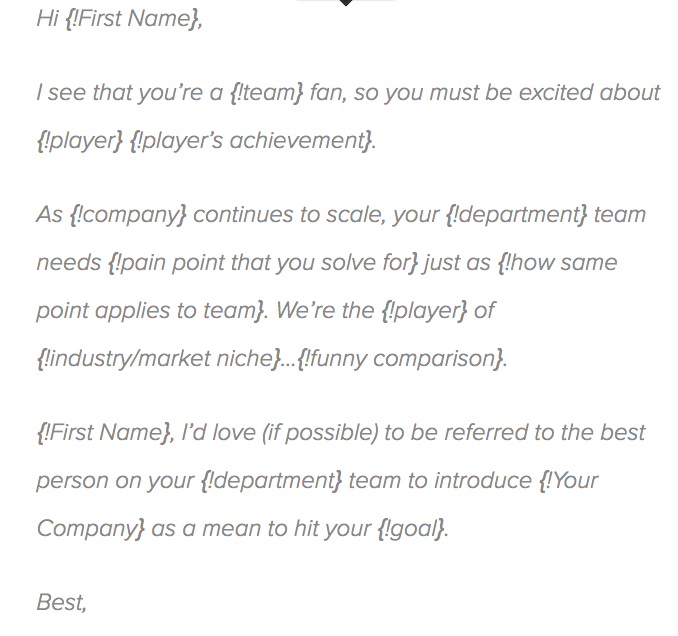 Start with a basic email template and create personalized text based on your segmented emails. This will give you the best chance of reducing bounce rates and getting some responses from high-quality leads. Finally, automate your email campaigns in small batches and set up some easy, automated follow-up emails. This will keep your leads warm while you’re busy reaching out to new prospects.